We offer therapeutic products for the prevention and treatment of bed sores: alternating pressure mattress and accessories, medical mattresses, low air loss mattress systems, alternating pressure pads, lateral rotation mattress systems, therapeutic foam mattresses and gel mattress overlays, static air, and water overlays. 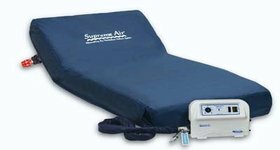 Blue Chip offers a full line of pressure redistribution bariatric mattresses, wheelchair cushions, positioning cushions, anti-thrust cushions, and wheelchair backs. There is a Blue Chip System for every type of patient: adult, pediatric, geriatric or bariatric. Blue Chip medical mattress systems incorporate a variety of therapies including, alternating pressure mattress systems, therapeutic foam mattresses, gel mattresses, and water. Advanced technology and clinically effective features. Adult, pediatric, geriatric and bariatric. Blue Chip pressure-redistributing mattress systems are clinically effective for the treatment and prevention pressure ulcers. Blue Chip Medicals’ line of therapeutic medical mattress overlays offers the maximum protection to guard against the incidence of pressure ulcers. We offer a full line of gel, foam, water and air mattress overlay systems. 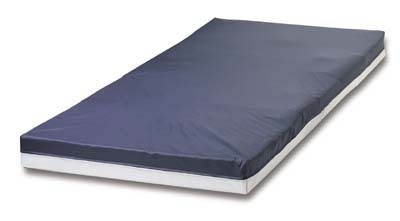 Blue Chip’s pressure-redistributing mattress overlays can be modified for the bariatric patient. Blue Chip Medical’s line of therapeutic seating and positioning systems include wheelchair seating, wheelchair positioning, and anti-thrust cushions. Our seating products are constructed from a variety of materials including our foam, gel and alternating air systems. All Blue Chip seating and positioning systems can be modified for the bariatric patient. Blue Chip offers a complete line of patient safety and fall prevention products. 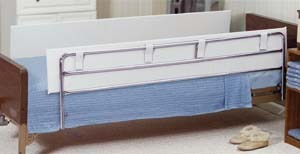 Blue Chip hospital and institutional products were developed to meet the heavy-duty requirements necessary for institutional use. Foam and Gel OR and ER replacement stretcher mattresses and imaging table pads. Blue Chip offers replacement stretcher mattresses and custom cart covers for all equipment manufacturers. 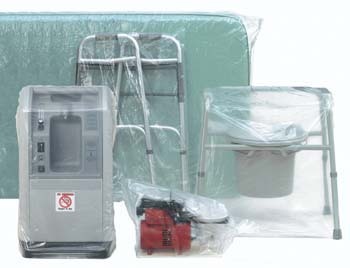 Blue Chip offers patient room accessories including patient safety and fall prevention products including side rail bumpers, lift slings, plastic equipment bags and hospital pillows.